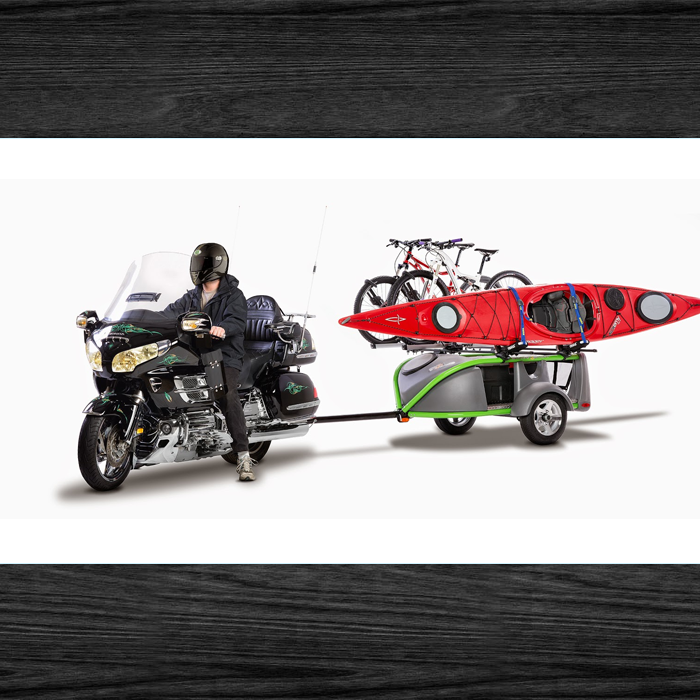 This GO-Easy Trailer from Sylvan Sports weighing just 120 pounds is light and durable enough to be towed behind your motorcycle or your small car. The SylvanSport GO-Easy Trailer has a diamond-plate cargo deck metal floor which can hold 17.6 cubic feet of storage. 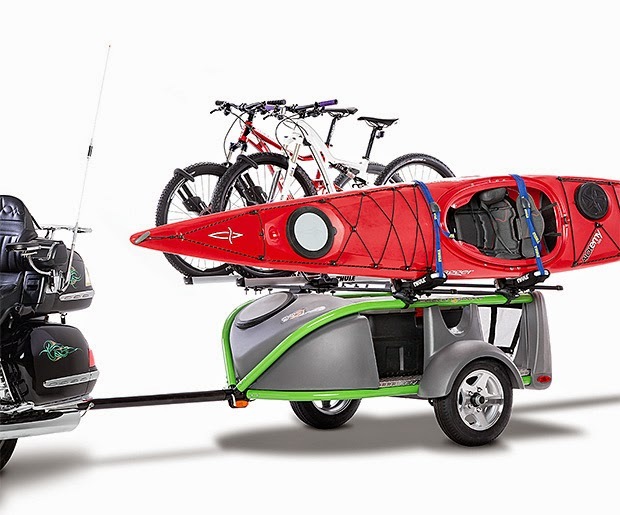 SylvanSport GO-Easy Trailer is American made.SylvanSport GO-Easy Trailer price $1995.